I thought I would put this list together to highlight some of the strangest things that our minds can do when they have gone off in their own direction. Some of these disorders are very damaging but luckily they are also extremely rare so I wouldn’t worry too much about suffering from them but they’re something to think about. 1. Paris Syndrome – A disorder that only affects Japanese nationals and it can occur when they visit the famous city. It is characterized by feelings of extreme culture shock when the realities of this multi cultural bustling metropolis conflict with the romantic image they have created of the place. Some of the more acute symptoms include anxiety, hallucinations, delusions, feelings of persecution, depersonalization and derealisation. This could be a result of the extreme difference in culture between Japan and other parts of the world (particularly the western world) caused by the fact that it is an island and the enforced isolation known as Sakoku which was instated by the shogunate (leaders of Japan) between 1633 until 1853. 2. Obsessive Compulsive Disorder – Commonly used in jest to describe someone who enjoys cleaning a bit too much OCD is diagnosed when someone has a need to perform certain actions beyond what most would consider a sensible amount. For example if someone has a need to turn a light on and off 10 times before they leave a room or having many showers in one day. It often starts with anxiety about a certain thought and then the repetitive behaviour develops in an attempt to quell the anxiety. This can then be habit-forming and afterwards every time they have the thought they feel compelled to produce the same behaviour. 3. 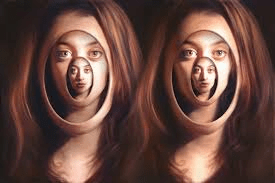 Dissociative Identity Disorder – Probably the most famous of the disorders in this list, formerly known as multiple personality disorder, DID is when a person has 2 or more distinct personalities that control a persons behaviour alternately. Affecting between 1% and 3% of the population in some way DID is one of the hardest disorders to diagnose and treat because it has several cross over symptoms with other mental disorders and no consensus has been reached on the best treatments. Most treatments at the moment involve cognitive behavioural therapy and they try to integrate the multiple identities back into a single personality. 4. Fregoli Syndrome – A rare psychological disorder that is often combined with paranoia, Fregoli syndrome is when a person thinks that different people are in fact all the same person just in disguise. This can then develop into a paranoid state whereby they believe that this one person is persecuting them or perhaps following them around. Also they can become confused about objects, places and events and believe them to all be the same as well. This disorder is related to their schemata or ‘mind map’ and so they will see someone who looks like a person they know and then they will believe it is that person. 5. Cotard Delusion – Sometimes called walking corpse syndrome this disorder makes the person believe that they are either dead, do not exist, are putrefying or have lost all their blood and internal organs. This delusion can then lead them to believe that they no longer have the need of food or water because obviously a dead person doesn’t need those things. When the person is in this state it can understandably cause severe depression and social withdrawal. 6. Alien Hand Syndrome – As the name suggests this disorder causes the sufferers hand to ‘take on a mind of its own’. This alien hand acts independently from the person and is capable of performing fairly complex tasks like undoing buttons and working tools without the owner being aware of it. Alien hand syndrome mainly occurs after brain surgery and especially split brain procedures but can also happen after a stroke, tumor, aneurysm and other brain trauma. Sometimes this condition can cause the affected hand to start to become nasty or even aggressive to the owner by performing actions that will get the person into trouble or physically hurt them. Often when sufferers go into treatment they describe a sense of dissociation or bad feeling towards this hand and it can, in rare cases, lead to the patient wanting to self harm. 7. 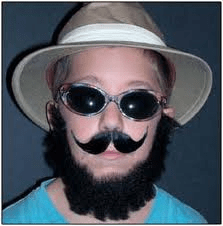 Capgras Delusion Theory – This is another paranoid delusion when the person in question believes that someone they know is not in fact their best friend but an imposter disguised to look exactly like them. This state of doubt about identity can also be transferred to objects and even places. They can then begin to believe that they are in a totally different place than the one they are actually in. One other symptom that some people have experienced is losing a sense of time. 8. Alice in Wonderland/Todd Syndrome – This syndrome, which was named after the famous book by Lewis Caroll, causes the sufferer to imagine objects larger or smaller than they actually are. This is a temporary condition that can be brought on by certain hallucinogens, migraines, brain tumors and it can be seen at the onset of Epstein-Barr virus. 9. Visual Agnosia – Every person has in their brains a series of connections from the eye all the way to deciding what something is and what that means to you. When you have visual agnosia those perceptions become jumbled and you can no longer associate the correct meaning with the correct object so you might think that its a great idea to shake hands with a grandfather clock. Out of the two types of visual agnosia that scenario describes apperceptive agnosia. The other type known as associative agnosia is when you can remember everything about an object and what it is but you can’t say its name. Most people experience a mild form of this when trying to remember the name of the song that is playing but with associative agnosia you can’t remember the name of things like chairs, tables or even people. 10. Stendhal Syndrome – This very specific disorder is a condition where by you can faint, become dizzy, increase your heart rate or even hallucinate when you are in a place with to much art or art that you find particularly beautiful. This condition is similar in a way to Paris Syndrome because it can be brought on more easily if a romantic image of visiting this place has been built up in the mind. Then when you get there you become overwhelmed. Alex Graduated in Neuro-Psychology at the University of Amsterdam. He worked a few years in a nursing home where he specialized himself in neurodegenerative disorders (alzheimer, parkinson), Personality Disorders and Emotional disorders (depression). Now he specializes in sharing his knowledge on public websites. What is the Difference Between Ego Syntonic and Ego Dystonic?